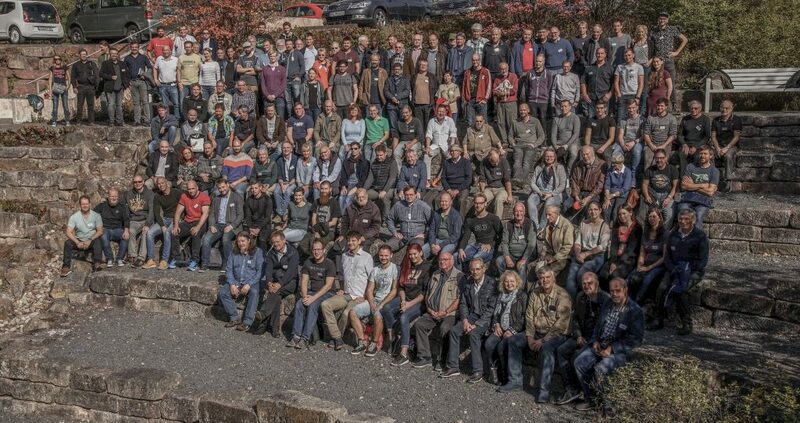 The AG Urodela meets annually in Gersfeld (Rhön),Germany. During the meeting our members exchange tricks, experience and knowledge. The popularity of this event shows with all the countries our attendees come from. Each year we welcome members from Belgium, Netherlands, Fance, Spain, Switzerland, Liechtenstein, Austria, Italy, USA, Argentina, United Kingdom, Poland, Czech Republic and Germany of course. It starts Friday afternoon with organisational topics. The associates of the Molchregister meet to exchange the latest updates and results. In the evening we have a public presentation which draws many visitors every year. On Saturday we have a ‘presentation-marathon’ which is exclusively available to our members. It begins about at 9am and continues up to 6pm. Even though the presentations are excellent, people are looking forward to the breaks. There are discussions about the just heard and old friendships are maintained. In the evening finally ones has gained a lot more knowledge, learned some more tricks and enjoyed the good food and drinks. On Sunday is the official trade-expo. Everyone may purchase new animals there. The steering committee puts an emphasis to offer, sell and trade only captive bred animals (see Terms & Conditions). The trade-expo is open to the public who are then admiring the animals. Friday and Saturday evening are enjoyed together in some of the bars and restaurants Gersfeld has to offer. There you meet new people and have opportunity to exchange plenty know-how while enjoying some drinks. The 30th meeting of the AG Urodela will be from Friday, October 18th 2019 until Sunday, Ocotber 20th 2019 in Gersfeld (Stadthalle, Bürgersaal).